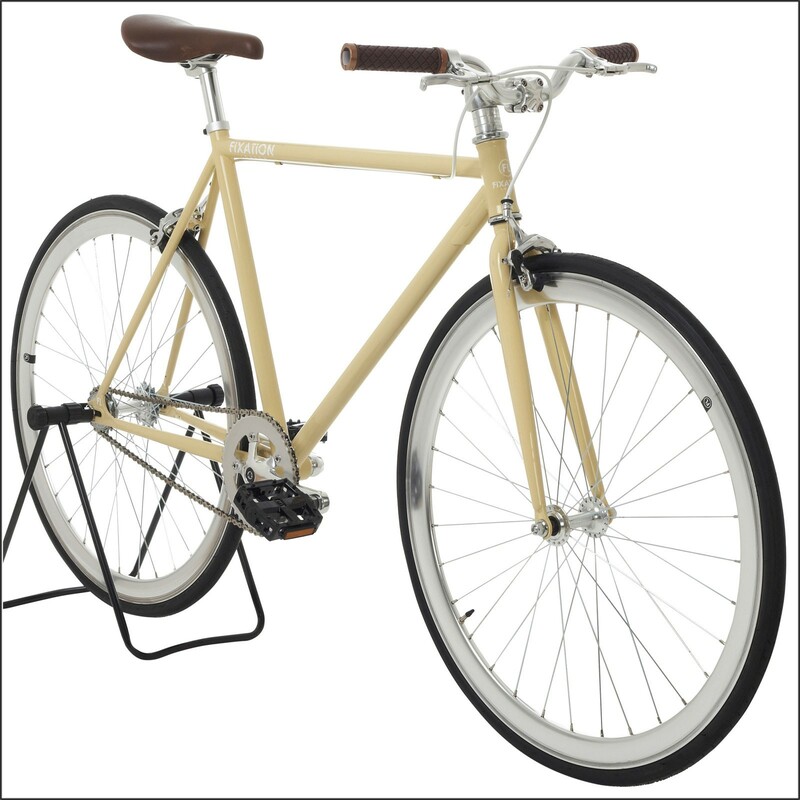 The Greenwich Bike is one of the most popular bicycles of Fixation London. 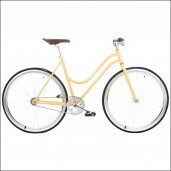 The bicycle has an elegant urban feeling with the yellow frame. With the silver parts and brown finish it's also still very fresh and nice to look at. 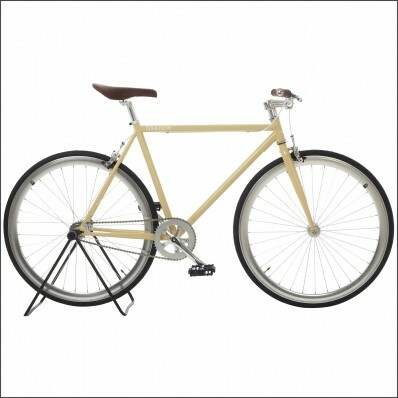 The setup is very user friendly with a flip-flop hub, 85% ready to use at delivery and a city, laid back feel and look. Choose now your Greenwich Bike, one of the most popular models of Fixation London and start biking this beautiful bicycle! 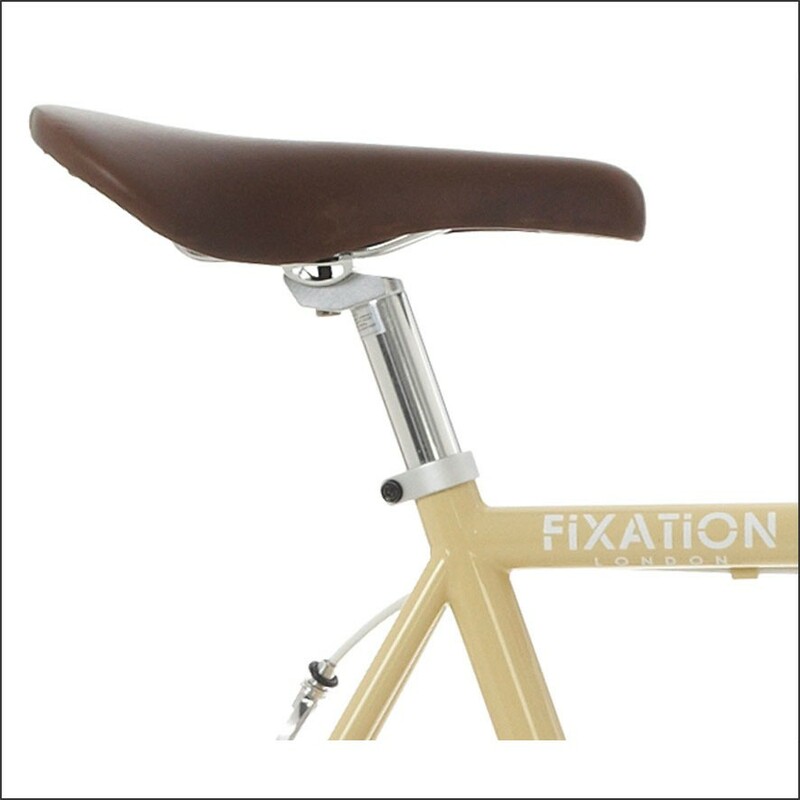 Did you know that 10% of the Fixation London profit goes to Re-Cycle charity? They ship unwanted bicycles from the UK to Afrika for recycling. 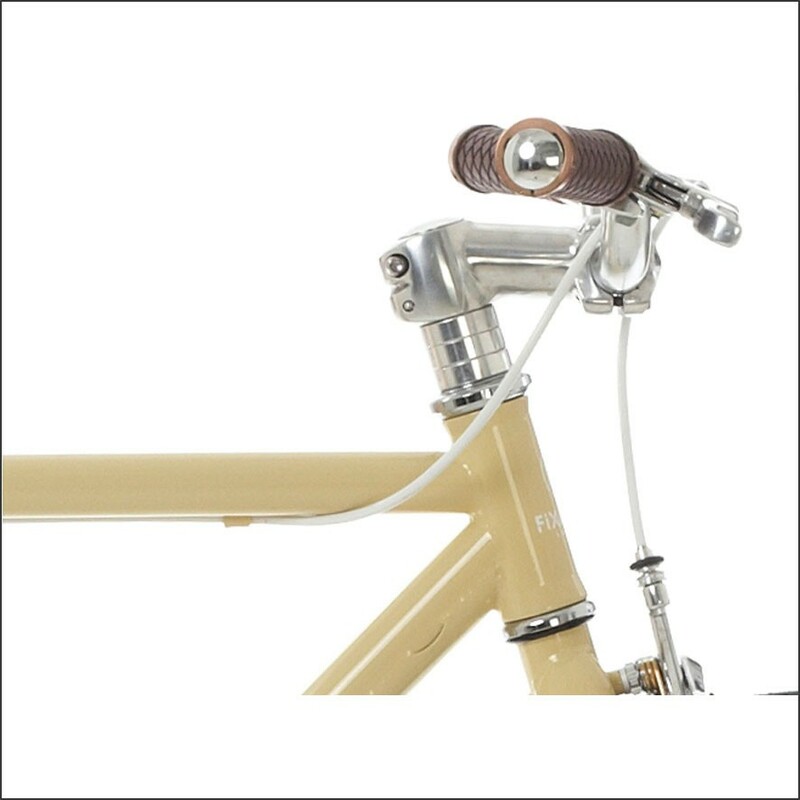 The bike will be delivered 85% ready to use. After receiving the bike you still need to assemble: the saddle, pedals, handlebars, front wheel, and a few other small parts, as well as adjusting, tightening and tuning the bike. 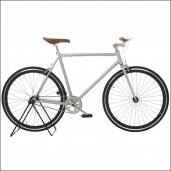 It's possible to assemble the bike yourself with basic knowledge of bicycles however we always recommend to assemble the bicycle with a professional. 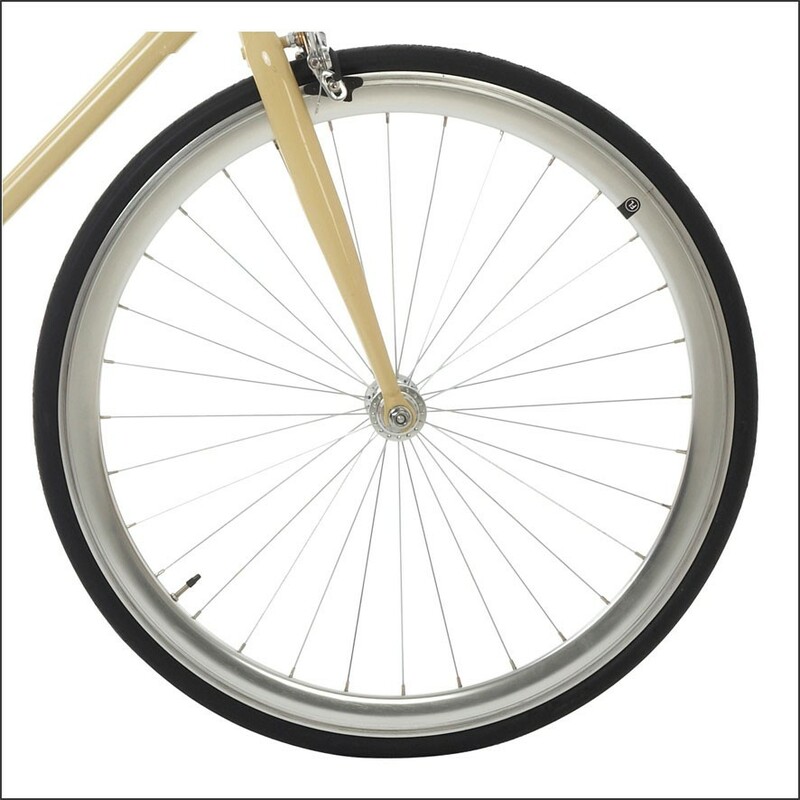 The bicycle will be safer and ride better when assembled and tuned properly. Choose now your Greenwich Bike, one of the most popular models of Fixation London and start biking this beautiful bicycle.